Struggling Championship club Bolton Wanderers could be set to make a surprise move for Crystal Palace defender Pape Souare. The Eagles full-back is out of favour this term at Selhurst Park, and according to respected journalist Alan Nixon, the Trotters are considering making a January swoop for the speedy defender. Souare was in impressive form last season for Palace but has seen his place in the first XI lost this term thanks to the performances of Wan-Bissaka, and he could well be open to a January move away from the club in order to get some first team football under his belt. However, a move to Bolton would come as a surprise, with the club struggling to pay their own players and staff at the moment, never mind bringing in new players on Premier League wages. 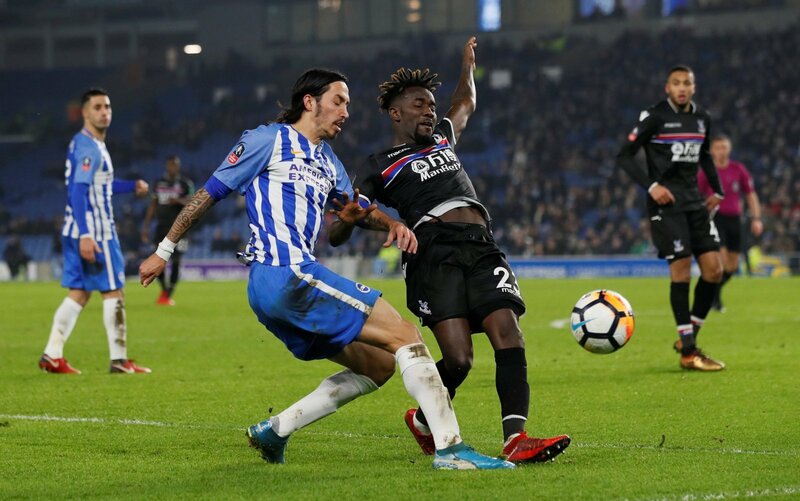 Souare would surely also be attracting the interest of other clubs in the second tier too if there is whispers of Bolton potentially doing a deal, and it will be interesting to see just how Bolton plan on making a deal for the full-back work. The 28-year-old moved to Selhurst Park back in 2015 from French side Lille, and has been impressive enough since making the step into Premier League football. I just cannot see how this one will happen? Bolton are in a mess as it is, so to suddenly pay a Premier League wage would be baffling. That’s not to say Souare isn’t a quality operator mind. He’d be great in the Championship, and if they can pull it off, then good luck to all at Bolton.